I’ve long thought that the Mets should either set a date to retire #24, or return it to the rotation. The man is not getting any younger. I hope Cano gets #24. Enough of keeping it in limbo. He’s not a Met and he’s not a Mets legend. He played for the Giants and they have appropriately retired his number. We already have #37 retired for a Yankee. Should we retire #8 for Berra next? Joan Payson hasn’t been involved with the team for a long time now and we can’t have her ghost hovering over who can wear #24. My guess: Cano gets #24 just b/c he has the cache (although not at the level of Rickey Henderson) to ask for it and get it. Ken Rosenthal reported Cano will wear #24. 24 has always gone to players with clout. I would imagine the 36 year old we’re paying $63M for has that. I mean, the reality is that we need a closer, one that comes pretty cheaply, so that’s good. Hopefully they won’t screw up McNeil in the process, but he sure seems unflappable so far. Just leave the starters alone, please. And DON’T give 4 to a coach! Great article here why the Mets should NOT retire #24 for Mays and put it back in circulation for good, even after Cano. The two most talked about Mets targets this week, JT Realmuto and AJ Pollack share not only their use of initials as a first name, but also a number – they both wore #11 most recently. 11 has been mostly vacant since Joey Bats went cheesesteak, but it did make a very brief appearance on call-up coach Tony DiFrancesco on the last homestand of 2018. I think #24 should hae been retired to avoid any future controversy, not even because of Mays. Although Mays spent only a short time as a Met at the end of his career, the current ownership should have respected Ms. Payson’s promise to him. 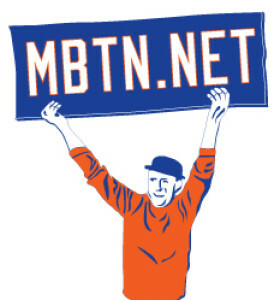 the Wilpons have little regard for the team’s previous ownership, as evidenced by their failure to invite Mrs. Payson’s daughter and successor owner, Mrs. De Roulet to the final game at Shea stadium in 2008. Mrs. Payson’s promise to Willie was class, the Wilpons deciding suddenly not to honor it (again) is crass. Furthermore, Willie did not want the number issued to Rickey Henderson, and apparently was not even consulted about it. Well, we know who’ll be sporting #27 in the spring. I say Ramos gets #40 from Vargas, and he goes back to #43, his original Mets number.